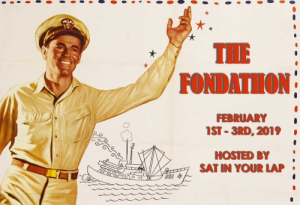 This is the final of three reviews for Michael of Sat In Your Lap‘s Fondathon which will take place 1-3 February. Thanks for letting me take part Michael! Brief Synopsis – A bounty hunter teams up with a young sheriff in order to help him become a better lawman. My Take on it – I have always been a fan of Henry Fonda’s work and this film was one that I had never even heard of when I chose it for this blogathon. The premise itself sounded interesting and I was also curious to see how he would work with Anthony Perkins. Fonda is superb in the lead role because we learn so much from the way his character holds himself. He has moved on in life from keeping the peace, but something inside of his refused to let those feeling go. He has great chemistry with Perkins and we get to see how they begin to slowly bond through the course of the film. The general idea presented here of good men doing all they can to ensure as much peace and tranquility for those around them works quite well. This is especially due to the fact that get to see what they all must deal with and sacrifice in their live sin order to try and achieve such goals. Bottom Line – Fonda is great in this film as a former sheriff turned bounty hunter who wants to live his life in peace yet knows that he still must do what he can to keep the peace. He has great chemistry with Perkins as the young sheriff and we get to see how their connection grows over the course of the film. The idea of good men doing all they can to ensure as much peace as possible works quite well here especially when we get to see what they have to deal with and sacrifice in order to keep things in the way of right. Recommended! 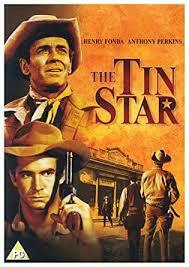 What a coincidence – I just watched this (for the umpteenth time) last night!